Up until a few weeks ago, my opinion of plotting was a snobby one. I’d read Stephen King’s fantastic book, On Writing, a few years ago (you can see my favourite quotes from On Writing in this post I did for Live Love Blog) and Stephen King doesn’t plot. So, despite never having finished a story (and barely even starting one for that matter), I didn’t plot either. Up until I hit a wall with the story I’m writing (Frog Boy – working title!). For over a year, ideas had come to me while out walking, during chats at the pub, from books I’d read and random things that fell out of my husband’s mouth. b) I was getting lost. I knew there was an idea in there but I had no clue how it was all going to piece together nor what the point of it was going to be. And the not knowing made me not want to write. I’ve been reading about plotting for a few weeks now but hadn’t put it into practise. Finally, for this week’s creative writing class, it’s my homework! I’m now forced to come up with a plot for a new story. Hurrah! I’ve collected together some tips from a chapter on plotting from the book How to Write a Children’s Book, and have added in tips from my Creative Writing tutor. 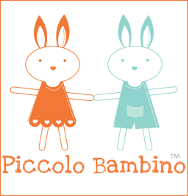 I’ve chosen to start afresh with my homework and base it on something I know a bit about…being a parent blogger! 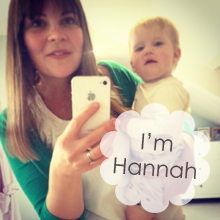 So my character is a new mum who has started blogging. 2. Then think about what difficulties or complications your character could come up against. Jealousy, competitiveness, overworking, trolls, working for big companies for f*ck all, big argument on her community page, issues with a hot shot blogger who turns out to be crazy and manipulative, endless selfies, child safety and privacy. Sub-plots – relation problems, missing out on child’s milestones, alcohol dependency all related to overworking. Probably the worst thing that could happen is a threat to her child’s safety. 3. My tutor also says to start your story you need an ‘inciting incident’ which gets your main character out of their comfort zone. In my story I decided my happy-go-lucky hobby blogger would be enticed into the world of professional blogging by going to her first blogging conference! 4. Next you need an ending. Decide if it will be a happy or not so happy ending. Perhaps the climax isn’t so great but something else can be introduced to make it bittersweet. Having an ending in mind before you brainstorm the middle, will help to develop a logical plot. For my story, I knew my blogger would have to face her worst fear (also mine) – that something would happen to her child. It would end well but she will learn lessons about living life through a lens and missing what’s really going on. 5. Start to plot out the different events that will lead to the climax. This section is about cause and effect. Keep sense in mind here; if it doesn’t make sense, a new idea is needed to make the plot happen. My plot follows a path of going to her first conference, meeting a big time blogger who leaves her disillusioned but overall she’s encouraged to ‘go pro’. She’ll come home full of ideas and while things are going great, she’ll start to have problems with trolls, overworking and the big time blogger. 6. The big climax, just before the ending, is what you’re building towards. This is when the main character has to do something decisive to overcome the conflict (both internal and external) you have created for them. 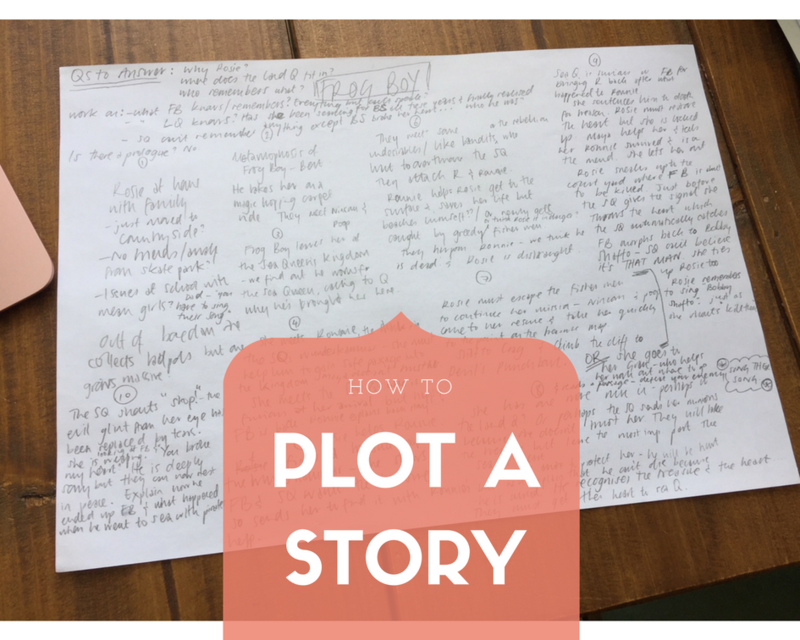 This doesn’t need to be fully mapped out but the basic idea is fundamental to the plot, so it’s a good idea to have this in place during the plotting stage. The big climax in my story will be at another big blogger event, when the trolling has become a threat to her child. She’ll have to step up to remember what she believes in and keep her family safe… something along those lines! This is the wrapup after the climax. In a short story this won’t be long but in a longer novel, there may be additional sub-plots to end and to help the reader come to terms with the book ending. Now you have a basic beginning, middle and end. Details may and can change along the way but the basic idea is there. These are a few other tidbits I picked up from How to Write a Children’s Book, which are useful to keep in mind. The plot must be entertaining and engaging for your readers age level, and you want readers to ‘identify strongly with the main character’. Resolving the conflict will depend upon the age of the read – younger tend to have a simple happy ending; older will have the main conflict resolved but other questions may still be left open. The main character needs to grow in some way – lessons should be learnt and this is where the story gets its meaning or moral, without it the story is a bit pointless. You take control of the storyline – avoiding dead ends, confusing plot lines, or shoehorning in solutions that aren’t fully plausible. This planning makes for a strong, believable story. You take control of the length of the story – helpful when writing to a brief or competition, or when writing for a specific age group and you know the publishers wordcount. It gets you excited about your upcoming project and motivated to crack on! There’s no such thing with plots! Willa Cather, who wrote Death Comes for the Archbishop , says there are only 2 or 3 basic plots. So don’t worry about that. Focus on the details; making elements of the story and unusual twists original – be unusual, intriguing or even shocking – and the overarching thing that will make it original is your take on life. A character idea – which you can develop into a biography and go from there adding some internal conflict that needs to be resolved. The outcome of the story must matter to your character, what is their motivation? Basic human needs – love, survival or achievement or a combination of them. Achievement, in particular, is often the motive for a baddy – greed and power can result in harm to others. Coincidence – is this really plausible? Will my reader believe this? Do I need this many characters? Fewer characters help the plot stay focused. Do you have the pacing right? You need elements of action and emotional peaks intertwined with down time for the reader to recover! This also helps the climax have more conviction as the pacting is balanced. Do you have enough different settings? Varying settings like house, school, garden, etc adds momentum and interest. As I mentioned, my first exerience of learning about how to plot a story was through Stephen King. His general approach is don’t do it – see where the story takes you and it’ll be more authentic. JK Rowling, on the other hand, takes her plot and develops it even further into themes, known as Series. I found this article about Series really interesting to see how she makes sure no theme is left for too long. She also keeps track of the month. Full on! Have you ever tried to write or even finished a story?! Did you use plotting? Or did you free style it? I’d love to hear what you did. Feel free to comment below or come and join the conversation on the Mums’ Days Facebook Page.